I don't drink a whole lot of beer anymore, but when I do—especially in bars—it's usually Guinness. There's nothing quite like a fresh pint of Guinness poured directly from a tap. And although I don't drink much beer generally, I always enjoy a Guinness on St. Patrick's Day. Granted, it's not the most original or creative notion, but there is something to be said for tradition. There is a saying in Ireland that "You don't go into a pub for a Guinness. You always have two!" Which is precisely what I'll do, since St. Paddy's Day just wouldn't be the same without pints of that creamy mother's milk, Guinness Stout. 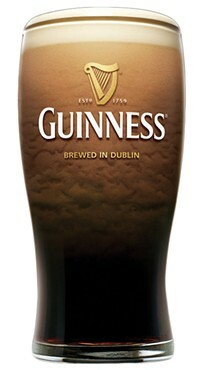 Then again, Guinness isn't just for St. Paddy's; it's a delicious drink just about any time and anywhere. Maybe that's why it's sold in more than 150 countries around the globe. However, beer consumption in Ireland has been decreasing for a while now—some 15 percent since 2001, according to a Guinness rep. More Guinness on tap is actually sold in the United States than on the Emerald Isle. In fact, Americans are Guinness' biggest consumers. Guinness has been an Irish export for much longer than you might think. 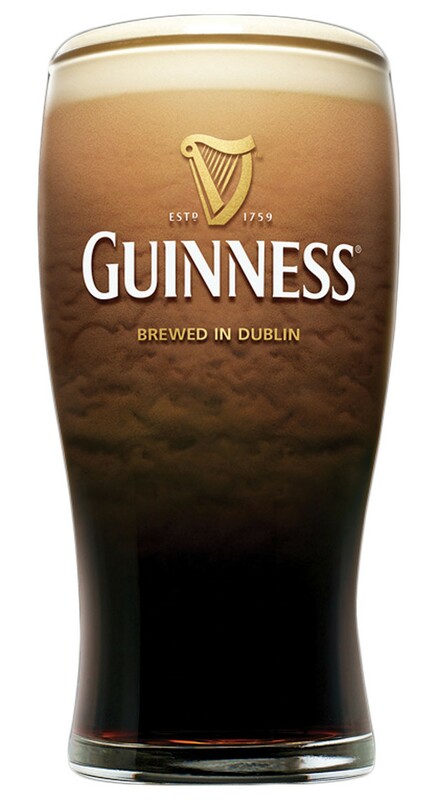 Guinness' genesis was in 1759, when Arthur Guinness signed a 9,000-year lease (talk about an optimistic business plan!) on a brewery at Dublin's St. James' Gate for an initial cost of what, in today's economy, would be about $147 U.S. Not a bad investment. Ten years later, in 1769, the first Guinness export of six and a half barrels of Guinness beer would leave on a ship from Dublin to England. That the Irish drink nothing but Guinness is just one of many myths and misconceptions about the famed Irish Stout. I'll never forget my shock and awe when, years ago, a local bartender told me he liked Guinness because of its strength—by which he meant ultra-high alcohol content. Fail! Guinness Draught, which is what is served in most restaurants and bars both here and in Ireland, weighs in at 4.1 to 4.3 percent alcohol by volume. By comparison, most white wine contains three times that amount of alcohol. When I lived in New York City, my best buddy—who'd introduced me to Guinness in the first place—swore that the Guinness on tap at The Abbey Tavern and at O'Reilly's Pub was better than anywhere else in the city. "It tastes like the Guinness they pour in Ireland!" he'd proclaim. It wasn't until years later that I'd discover that this, too, was a fallacy. It might be true that the Guinness in some bars or restaurants tastes better or fresher than in others. However, that's probably due simply to turnover. The beer will taste fresher at a bar that sells more Guinness—and replaces its kegs more frequently—than one that sells less. Still, the Guinness Draught served from taps here in the United States. (yes, even here in Utah), is exactly the same as that served in Dublin or Country Clare. One more persistent myth is that Guinness should be served just slightly chilled, a bit below room temperature, like the session beers you get at British pubs. False. Contrary to what some beer aficionados might think, Guinness should be served quite cold. The brewers at Guinness' St. James Gate Brewery suggest pouring Guinness at about 43 degrees Fahrenheit. Do that, and you'll discover the reason that Guinness has been poured in pubs, restaurants, bars and homes since 1759: a distinctive creamy head, lovely malt and caramel flavors, and a dry, roasted, slightly bitter finish.